Laura is extremely passionate about connecting with professional makeup artists, so she created this program to offer tools, inspiration and guidance to enhance and support their work. The Professional Makeup Artists Program is open to all industry professionals in the United States. 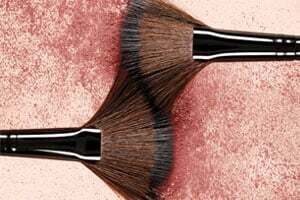 Simply email us at makeup.artists@lauramercier.com with two forms of credentials and join the community for a 40% discount on all Laura Mercier products. For more information, visit our FAQ page. The Professional Makeup Artists Program is open to all industry professionals in the United States. Simply email us with two forms of credentials and join the community for a 40% discount on all Laura Mercier products. For more information, visit our FAQ page.